Alcoa is converting capacity previously used for making aluminum cans in Tennessee to produce high-strength aluminum for automakers. Editor's note: An earlier version of this report mischaracterized the status of the Energy Department’s agreement with Alcoa. The deal is a conditional commitment, and additional steps are required before Alcoa receives the funding. 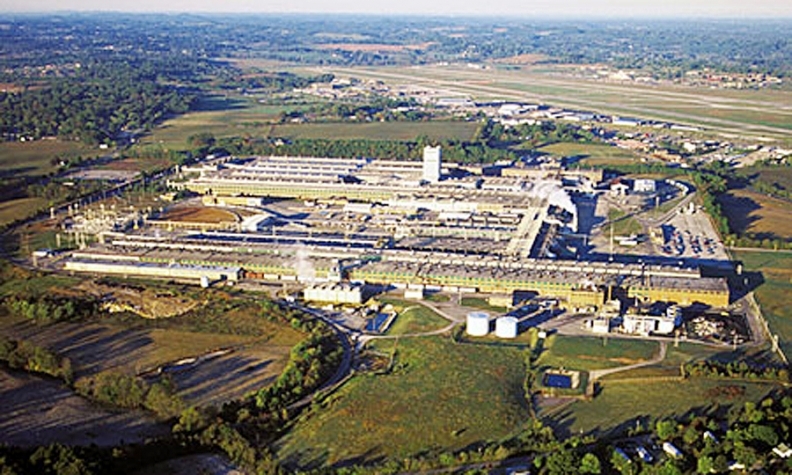 WASHINGTON -- The U.S. Department of Energy has offered a conditional commitment to lend Alcoa Inc. $259 million to expand automotive aluminum sheet production capacity at the supplier’s Tennessee factory, reviving a long-dormant loan program to support the development of energy-efficient vehicles. Final approval of the $259 million loan is subject to completion of additional terms set out in the agreement. Automotive News first reported the DOE’s interest in Alcoa last May. The Alcoa deal marks the first loan agreement made under the Energy Department’s Advanced Technology Vehicles Manufacturing program since 2011. Under the ATVM program, created by Congress in 2007, the agency lent more than $8 billion to Ford, Nissan, Tesla and Fisker, but automakers’ interest in the low-cost government funds faded in later years amid growing availability of private capital and the controversy surrounding the high-profile bankruptcy and collapse of Fisker Automotive, which won a $529 million loan commitment under the program. Fisker received only $192 million of that amount; the agency froze the remainder after the company failed to hit performance milestones prior to its unraveling. To revive interest in the fund, U.S. Energy Secretary Ernest Moniz revised the program last year to be more supplier-friendly and met with supplier executives to spread the word that some $16 billion in lending authority was still available. Davidson says the effort has paid off and that the DOE is working on more loan applications now than at any time in the past four years.